I made a small enhancement to AppSender. 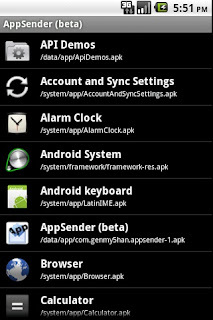 The app list will now be displayed in alphabetical order. I should have done this when I first wrote the app. 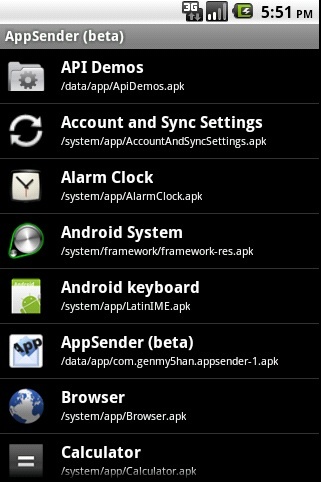 This fix is in AppSender BETA 1.4, now available on Android Market. BTW, if you find any problems with my app, please let me know. I will try to fix it. Feel free to post comments in this blog to report problems. Thanks.